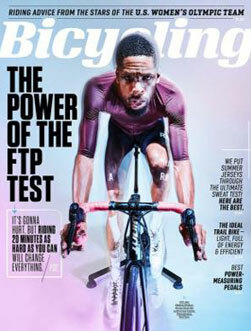 About this magazine: Bicycling is the world’s leading cycling magazine and the only one that covers the entire spectrum of cycling from road cycling to mountain biking to recreational cycling and cycling for health and fitness. Each action-packed issue is filled with proven secrets that are guaranteed to help you go faster, stronger, longer. Bicycling's unique combination of travel, gear, fitness, style and award-winning stories -- all surrounded by vivid photography and framed in elegant design -- brings the sport to life. On and off your bike, Bicycling will fuel your cycling passion. Bicycling will take you to the world’s premier cycling destinations, keep you up-to-date on the latest cycling technology and challenge you to be faster, stronger and better every day.